Sumo robot contests feature two robots trying to push each other out of a ring. The competitions are non-destructive, family friendly, and great learning experiences. The purpose of this guide is to encourage you to hold and participate in sumo robot events. Feel free to link to this article. Or, in association with a particular event, you may reproduce up to 250 partial or complete copies in either printed or electronic form during a 12-month period without fee or permission request. Use the whole guide; or just some of the words or illustrations. However, please contact me if you wish to use my work in a magazine article, book, CD, website, or any other mass production. Two self-controlled robots are placed in a ring. The robots try to avoid falling out or avoid being pushed out by the opponent robot. The first robot that touches outside of the ring loses the round. The first robot to win two rounds, wins the match. Different robots compete one-on-one against each other throughout the contest. The robot that wins the most matches wins the contest. Autonomous Sumo robots are self-propelled and self-controlled, without tethers. After positioning and starting the robot, no remote control, power, positioning, or other help can be provided. The robot must care for itself until the round ends. As long as all other requirements are met, Sumo robots can be made out of any material. They can use any type or size of electric motor or electric-powered locomotion. They can contain any kind of processor, electronics, sensors, or batteries desired. Scratch-built robots are most successful because they are specifically designed for their purpose. However, commercial kits and LEGO bricks are equally viable in the hands of a creative inventor. Japanese-class Sumo robots may have a mass of 3 kilograms (6.6 pounds) or less. Mini-class Sumo robots may have a mass of 500 grams (1.1 pounds) or less. 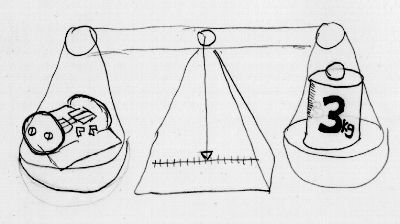 Lift can’t reduce the robot below the required limit because the limit is specified in mass (universal constant) rather than weight (gravity component). For example, a helium-filled balloon can’t be used to lighten a robot during weigh in. Because this is a pushing contest, it is to the robot’s advantage to be as heavy as possible. Many builders bring extra weights or washers to increase the robot’s mass to the maximum amount as measured at the contest location. At the start of each round, Sumo robots must not exceed a specified width and depth. Japanese-class Sumo robots may be 20 centimeters (7.87 inches) or less in width and 20 centimeters (7.87 inches) or less in depth. Mini-class Sumo robots may be 10 centimeters (3.93 inches) or less in width and 10 centimeters (3.93 inches) or less in depth. There is no height limit to either class. 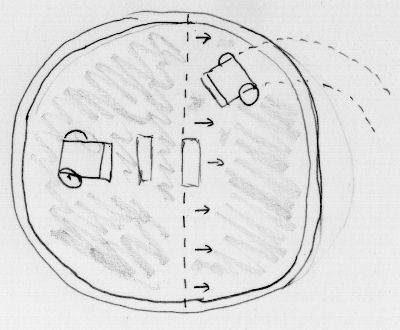 Also, as soon as movement is allowed in a round, the robot may then twist, fall, or expand without size limits. The lack of a height limit is important to some builders, as they may stack up electronics, motors, and other parts that wouldn’t otherwise fit. The lack of a height limit combined with the ability to change orientation during a round provides for creative opportunities. Crafty inventors build tall scoops atop their robots. The robots then fall down to make themselves longer than would be initially allowed. Some robots tip only their scoops into position, rather than dropping the entire robot. At all times, robot behavior must be non-offensive, non-destructive, and non-harmful to humans, robots, and the facilities. This is an immutable principle, even if the behavior is unintentional or not by design. During inspection (and at any time during the event), the judges may require safety changes or other modifications to meet the harmlessness requirement. Harmful robots are either not allowed to compete at all or are later disqualified if potential harmful issues are proven or revealed in battle. Judges also examine to see if a robot’s design is sufficient to survive the expected pushing, shoving, and physical rigors of competition. Suggestions may be made to avoid damage to the robot. 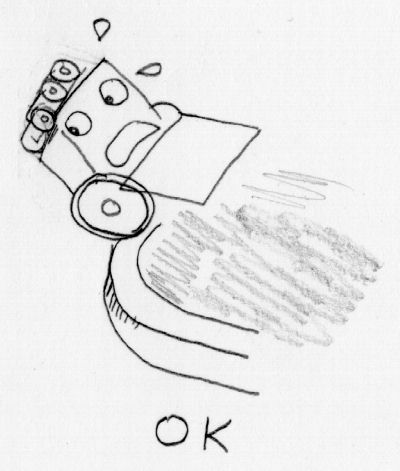 A weak robot is usually allowed to compete at its own risk. During the contest, the judge must determine if a robot’s failure was due to its own lack of durability. Failures due to exposed wires or unsecured or flimsy parts shall be the responsibility of the robot with such weaknesses. However, as for the last point, naturally some damage occurs from scoops, changes in starting orientation, and from the battles themselves. This is expected and acceptable to any reasonable extent. 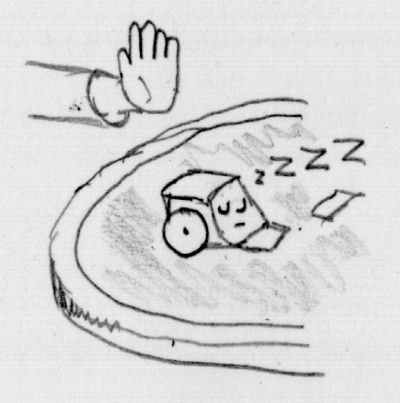 Another rule: Sumo Robots must not fly or generate lift to isolate themselves from the ring surface. The “no-fly” rule isn’t intended to prevent a robot from having a floating portion (such as a camera, sensor, flag, or distraction) nor to prevent jumping or other interesting behavior. The robot qualifies as long as a major portion of the robot is generally available to be pushed out by the opponent robot. 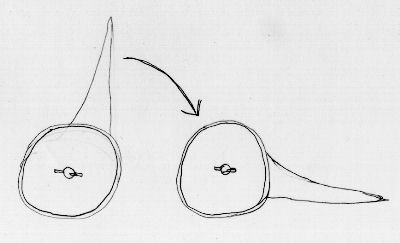 Some contests disallow suction, glue, “sticky wheels”, magnets, or other methods of increasing downward force. In those contests, a common method of determining a violation is to place the robot on a piece of paper and lift up the robot to see if the paper lifts too. With a little bit of advance thought put into the design, a configurable robot might still qualify for contests with such restrictions. Suction can be turned off, sticky wheels can be swapped out, and magnets become ballast. 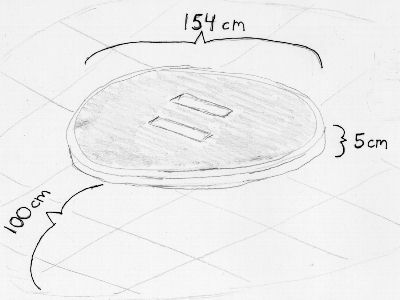 The Robot Sumo ring is a large, flat disc. It is made of a smooth, rigid material, such as wood, aluminum, or steel. (Steel or another iron-based material is required if magnets are to produce downward force.) The top is usually painted or made of hard rubber. The top surface is dull black, except for a thin border that is shiny white. Two starting lines in the middle are brown. All of these areas are “in” bounds. The ring is raised slightly to make it easier to determine when a robot has been pushed out. The height isn’t very much though, to avoid damaging robots that fall or get pushed out. An external area of at least 100 centimeters (3.3 feet) of empty space exists around the ring. This space must not contain any people, objects, lights, or anything else that would distract or interfere with the robots. The floor may be any color but white. 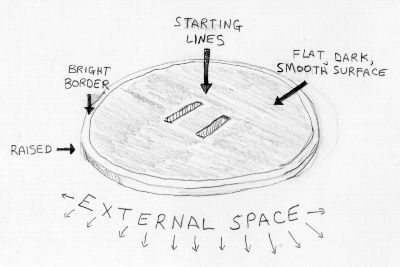 The external space and the raised-edge wall of the ring are “out” of bounds. The ring should be as level and sturdy as possible. Fancy rings include feet with built-in level screws. There are two ring sizes, one each for both popular Sumo robot class sizes. See Appendix A for dimensions. A surprising number of Sumo robots drive out of the ring without even being pushed. A well designed and built Sumo robot should be able to navigate the ring indefinitely without falling out. The flat black ring surface contrasts with the gloss white border so that a robot can easily use a light sensor to detect the edge. Although less popular, physical switches can also detect ring edges. Locally-sponsored Robot Sumo contests happen throughout the world throughout the year. Almost all are open to public entry. Friends and family members are especially welcome in support of the competitors’ hard work and accomplishments. Specific rules are posted, along with contact information, entry fees, descriptions of potential prizes, date/time, and location information. Although usually not required, most organizers appreciate pre-registration for the event, just so they can get an idea of how many people are likely to participate. Sumo rings are brought by the contest organizers and set up in advance. Contestants have access to these rings to inspect the surfaces and calibrate sensors for colors and lighting. Robots should be prepared to accept significant variations in Sumo ring quality and lack of ring adherence to specifications. Most of the rings are homemade and somewhat difficult to build perfectly. 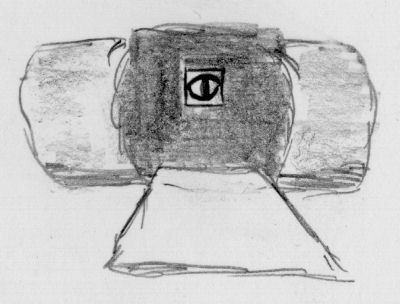 Sometimes a large, closed-circuit television is near the ring to provide a good view for the audience. Often times, organizers, participants, audience members, and local media bring still cameras and video cameras. Competitors and audience members are expected to remain polite, sportsmanlike, and considerate at all times. Good cheers, encouragement, and applause for all competitors are very much appreciated. Each robot is measured and inspected to verify qualification. To avoid arguments over analog needle interpretation, usually a digital scale is used for determining mass. Allow for a little free weight that can be added or removed in case your home scale doesn’t match the tournament’s scale. For width and depth, a carefully measured box or cube is placed over the robot. Actually, the box is more of a tube really, because it is missing the top and bottom. 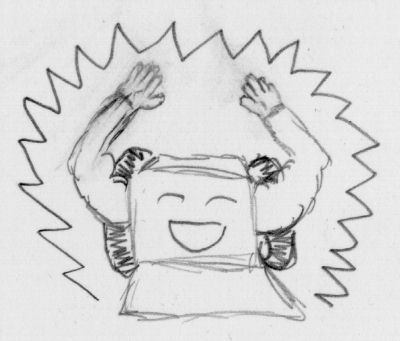 The box avoids arguments over ruler interpretation, because the robot qualifies if the robot fits in the box. The robot must start each round of the contest in an orientation and physical position that would fit in the box. It would be unfair to measure the robot in one position (sticking out of the top of the box) but then manually rotate the robot to an unqualified length before beginning a match. The robot is inspected to be sure it is non-damaging and generally safe. 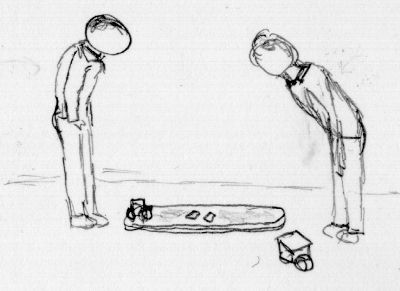 A few contests may require each robot to be pitted against an inanimate object, like a block of wood. The robot has three opportunities of up to three minutes each to push the object out of the ring twice. The time taken and number of successes can be used to determine initial seeding or ranking. Some contests disqualify robots that can’t push out the inanimate object a certain number of times. However, this practice isn’t desirable, as the courage and effort taken to build and enter a robot should be enough to participate. If the robot qualifies, an entry fee is usually paid and an identifying sticker placed atop the robot. Robots may be altered between rounds and matches,either for repairs, battery changes, or reconfiguration. Keep in mind that the referee may re-examine the robot at any time to re-verify qualification. Usually a photograph is then taken of the robot and/or inventor. Many organizations like to post these images on their web sites. A table or other work area is provided for the participant so that the robot can be stored safely and maintained throughout the event. Depending on how many robots participate, the organizers can choose a number of different elimination methodologies. A few popular methods are presented here, but obviously creative variations can be designed to meet the needs of a particular contest. Single Elimination: Upon losing a match, the robot is out of the contest. This is the harshest method and least likely to convincingly determine winners. It also means half the participants get to compete only once. Double Elimination: Upon losing two matches, the robot is out of the contest. This is common practice when a large number of robots are entered. A good way to run a double-elimination playoff is to have the set of winning robots pitted against other winning robots, and losing robots against losing robots. That way, a robot won’t have the bad fortune to compete against two top robots in row. For example, robot A loses to robot B, and robot C loses to robot D. Robot A would then play against robot D, with the losing robot being eliminated. Round Robin: Each robot faces each other robot (one at a time) in a match. Although this can take a long time, it is the most fun because every robot gets a chance to compete against every robot. This method also has the advantage of determining all robots’ actual rank, not just a sole winner. 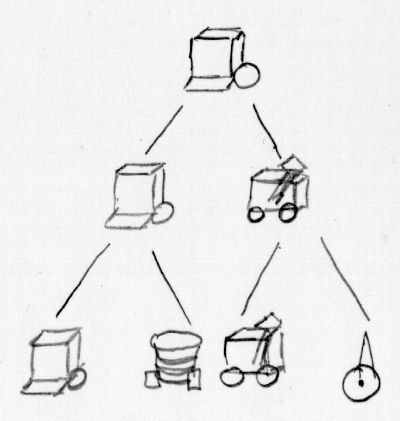 Heats: The robots are divided into smaller groups and a method above is used within each group to organize one-on-one matches. The winners of each group advance. Records should be kept to facilitate dispute resolution and tie breaking. The number of match wins is most important, but some good tie breaking criteria are: round losses, round wins, lightest weight, and total time taken per match win. Sudden death rounds could also be used. Regardless of the method chosen, organizers should communicate the scoring method well in advance, in writing, so that the participants can design according. An excellent ending to the contest is to extend the championship match to be the first robot to win by two rounds. At the beginning of a match, the contestants approach the ring and bow to each other. Most Americans aren’t accustomed to bowing, and so may desire to skip this ritual. However, this is an important step in breaking the ice and establishing the friendly, respectful tone of the event and therefore must not be omitted. The robot must be ready at the appointed times. Contest organizers may grant reasonable leeway, but a referee may declare a round or entire match lost if a robot isn’t punctually prepared to compete. Throughout the contest, the algorithms, settings, and components on the robot can be shaped, angled, or configured differently for facing each opponent and being placed in different starting positions. In some contests, although a reasonably identifiable core must remain, whole pieces may even be added or discarded. However, these changes must bear in mind appointed time constraints and class restrictions. The better-ranked robot or the robot that just won the prior round is positioned first. The contestant may place his or her robot in any position, angle, or location on the ring except that no portion of the robot may cross the extended starting line nearest the contestant. 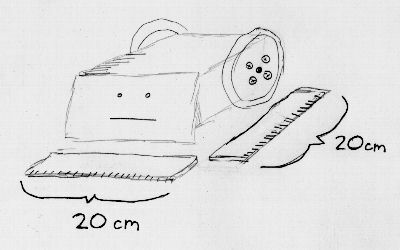 The robot must fit within the required starting dimensions (20 cm x 20 cm or 10 cm x 10 cm depending on the robot’s class). The lesser-ranked robot or the robot that just lost the prior round is positioned second. It is an advantage to be the second contestant to place a robot in the ring, so one shouldn’t forget or dismiss this opportunity. By placing the second robot out of the direct line of sight, at sideswiping angle, or closer/further to the first robot, it may be possible for the second robot to gain a quick victory. Depending on who wins this round, the order may change in which the robots are placed next round. The second contestant may place his or her robot in any position, angle, or location on the ring except that no portion of the robot may cross the extended starting line nearest the contestant. 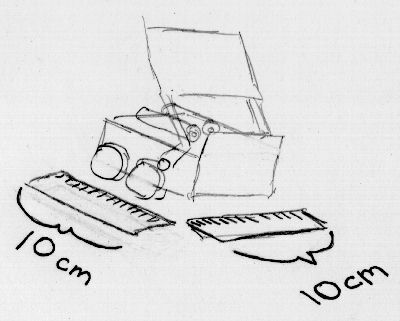 The robot must fit within the required starting dimensions (20 cm x 20 cm or 10 cm x 10 cm depending on the robot’s class). By the way, after the initial placement of the first robot, it isn’t permissible to alter its starting position. Even though this may be desired in reaction to the placement of the second robot! Upon pressing the start buttons, the contestants immediately leave the exterior area around the ring. 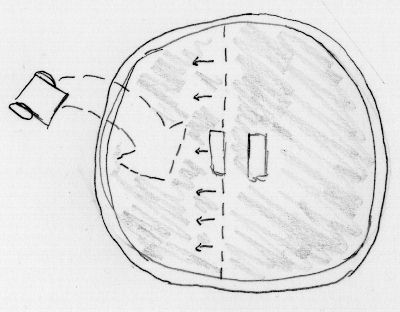 During the round, all people and objects must be kept out of the ring and exterior area to avoid distracting the robots or altering the outcome. Upon pressing the start buttons, each robot must not move at all for five seconds. However, countdown lights, buzzers, sounds, or other entertaining motionless activity is encouraged. During the countdown, if the contestant notices their robot has failed to start its countdown, the contestant may alert the referee and halt the countdown. Both robots are reset to start the round over. The contestant is given a warning. A second warning of any kind in a single round results in the robot losing that round. It is to the benefit of the contestant to stop the countdown if the robot fails to start the first time. It may still be to the benefit of the contestant to stop the countdown a second time (losing the round) if the robot is likely to suffer damage by failure to start. If a robot begins moving during the five-second period, the robot has committed a false start. A warning is issued and both robots are reset to start the round over. A second warning of any kind in a single round results in the robot losing that round. Designers may be tempted to program a countdown timer that is shorter than the five seconds required. However, referees and competitors quickly catch this, which results in warnings followed by round loss after round loss for the cheat. 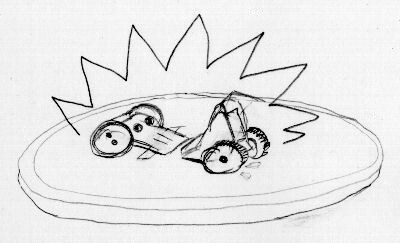 A robot loses a round when any portion (including touch sensors, whiskers, scoops, or skirts) of the robot touches outside of the ring. It doesn’t matter if the robot falls out on its own or is pushed out. The first robot touching outside of the ring loses, even if the second robot subsequently touches outside of the ring. If the referee determines that both robots touched outside of the ring at the same time, the round is nullified and started over. Touching the raised edge of the wall itself is also considered out. 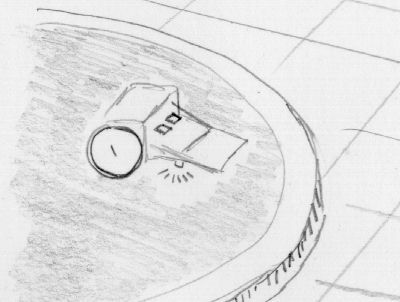 If any piece of the robot, no matter how small or even if detached, touches outside of the ring, the robot is considered out. 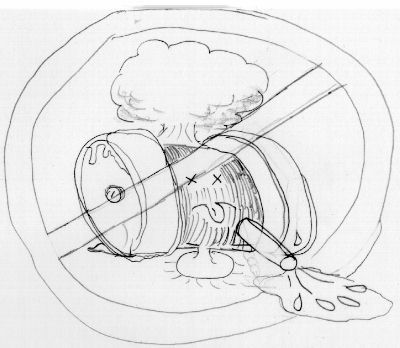 For example, if a nut drops off a robot within the ring, the robot doesn’t immediately lose. However, if the nut is then pushed out or rolls out, the robot loses. Alternate rules: Some contests allow for up to 5 grams to fall off the robot and be swept out (if unattached) without the robot losing. Some contests end the round immediately if more than 5 grams detaches from a robot, with that robot losing. 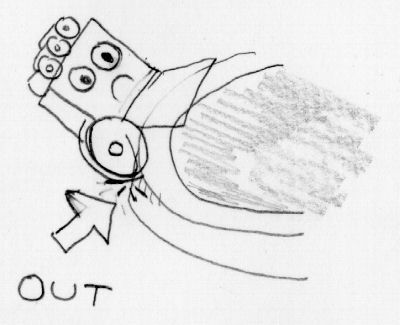 If a robot lands outside the ring atop a whisker, scoop or any portion of the opponent robot, the opponent robot is out. This is consistent with the policy that the robot that touches outside first is out, even if the second robot subsequently touches outside the ring. Starting to fall or breaking the plane of the ring isn’t considered out. Some portion of the robot must actually touch outside the ring. At any time after the five-second starting countdown is over, a contestant may choose to enter the exterior space or otherwise signal stoppage to the referee. That contestant’s robot loses the round. If the robot is malfunctioning or in a position in which damage could occur, it might be in the contestant’s interest to halt the round and take the short-term loss. A contestant that communicates with a robot, attempts to distract (such as with an IR or laser emitter), or in any way attempts to interfere with the outcome is also considered signaling stoppage. Some contests require a robot to move every certain number of seconds. This is usually referred to as the “No bricks” rule, since a brick or other inanimate object wouldn’t qualify. Some contests declare a robot to lose a round if any part greater than a certain size or mass should become detached. This, in turn, prohibits multi-bots or any other robot that separates into parts by design. Some contests believe these limitations are unnecessary and overly restrictive. 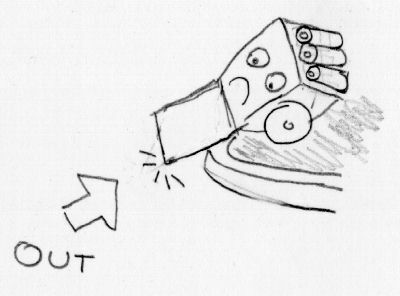 In the case of bricks, motionless robots are fairly vulnerable to any well-designed, halfway-intelligent mobile robot. For multi-bots or dropped parts, it would seem a serious disadvantage as any part shoved out of the ring causes the entire robot to lose the round. Since neither condition would seem to provide an unfair advantage, why stifle creative engineering or amusing solutions? Perhaps dropping a homing beacon, a lure, or a spent battery would be an interesting addition to the sport? If one cannot beat a brick, one hasn’t yet engineered an effective solution. 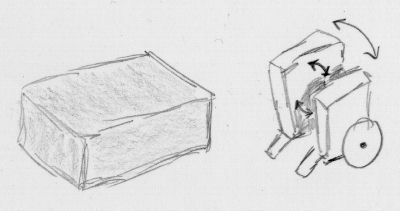 A well-engineered, high-density, low-profile brick with high-friction base could prove to be difficult to dislodge, but the referee still has the prerogative to award an expired, “tied” round to the mobile robot. At the end of a round, the contestants retrieve their robots and prepare them for the next round. The first robot to win two rounds, wins the match. This means there can be as few as two very quick rounds to win a match. Or there can be as many as three, three-minute rounds (not counting restarts). In the latter case, each robot must have won a round to force the third-round tiebreaker. Of course, a match may also end if a contestant or robot is disqualified or otherwise unable to complete. At the end of the match, the contestants bow to each other, just as they did at the beginning of the match. They then leave the ring area to prepare their robots for any additional matches in the contest. When two well-built robots compete, the tires become the deciding factor. 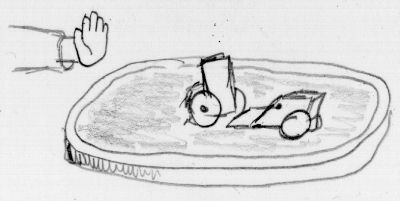 The better the tires grip the ring surface, the more the robot can shove and the less the robot can be shoved. Unless severely underpowered, motors rarely stall; almost always the tires spin. Narrow, worn tires spell disaster. Wide, clean, abundant tires spell victory. Don’t stifle creativity, tracks and even legs should be considered. A scoop or arm is vital. Anything that shifts the opponent’s weight of off its wheels is desirable. 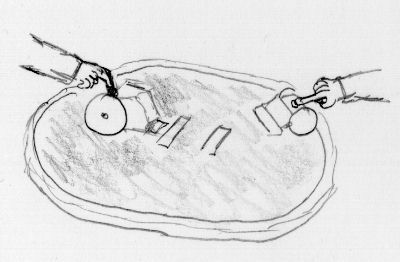 A scoop can both reduce the grip of the opponent’s wheels (by tilting weight off) and also increase the grip on the scooper’s wheels (by tilting the opponent’s weight on top). 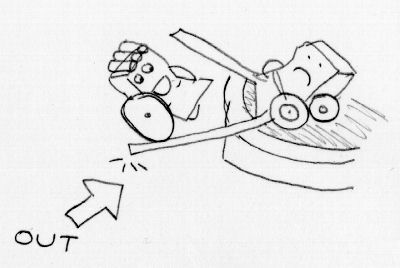 Also, a scoop may topple or tip an opponent onto its side or over the ring edge. Grabbers and pushers should also be considered for similar reasons. Dark robots are more difficult for the opponent’s infrared or light sensors to see. Fuzzy-surfaced robots are more difficult for sonic sensors to detect. Slick, encased robots are more difficult for the opponent to grip or accidentally damage. Although not required, infrared or other opponent-targeting sensors improve a robot’s chances of contacting the opponent in a motion with the greatest forward momentum. Additionally, a robot with opponent sensors is less likely to get struck from an undesirable angle, such as on the side or from behind. Because of human nature, rounds usually begin with the robots positioned facing each other. If they miss each other on the first pass, the round may take some time. This is especially true if the robots lack opponent sensors and are just driving in a random, star, or crossing pattern. The longer the round takes, the more likely the robot with good edge sensors is likely to win by default as the robot with poor edge sensors simply drives out of the ring. Based on fair competition, Robot Sumo encourages friendships and the exchange of ideas, showcases accomplishments, advances robotics, and seeds interest in future generations of robot builders. The rules are designed to support those principles. But, a written document is unable to cover all the circumstances and conditions of an event. The referee and contest organizers have complete discretion to interpret and alter these rules, at any time, to meet the intended spirit of the games. Whenever reasonably possible, referees should provide helpful explanations and opportunities for correction to allow even novice contestants every chance to participate and have an enjoyable experience. When disagreements arise, participants and spectators should be flexible and remain respectful. Referees and contest organizers have the right to determine the penalties for violations as they occur, on a case-by-case basis. Penalties can range from nothing, requesting a change in behavior, warnings, round loss, match loss, to disqualification or even physical removal. The rules will evolve to support novel designs, intelligent techniques, and quality engineering. Local contests commonly use variations of rules. This only tends to be a problem when differences (such as robot dimensions or mass) prevent many robots from being able to compete in another region or contest. The lack of rule-compatible robots would reduce participation and excitement. Careful consideration of this negative effect should be given before local contest organizers reject various standard rules. Perhaps attracting competition and critical mass outweighs any detriments of national standardization. A good compromise could be to grandfather local pre-existing robots that don’t meet standard rules. Or, an irregular-class tournament could be held for those that no longer conform. Publishing the rule variations well in advance can also allow robot builders to design options or reconfigurable robots to meet multiple rule sets. A1. These rings are encouraged as standards. There are some other minor ring variations, but they all closely resemble the International Ring. A2. The Japanese-class Sumo robot competes on an International ring. 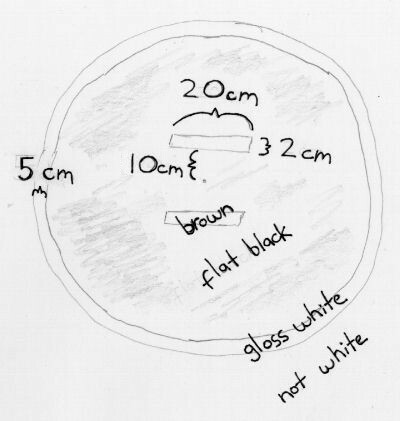 The International ring is 154 centimeters (5 feet 5/8 inch) in diameter, 5 centimeters (2 inches) in height, with an exterior empty space at least 100 centimeters (3.3 feet) all the way around. The surface of the International ring is flat black. The border is gloss white and 5 centimeters (2 inches) in width. The starting lines are brown. Each line is 2 centimeters in width (3/4 inch) by 20 centimeters (7.87 inches) in length, centered 10 centimeters (3.93 inches) from the middle of the ring. Therefore the starting lines are a total of 20 centimeters (7.87 inches) apart from each other. The vertical edge can be any color (white, black, or even unpainted). The exterior space can be any color but white. A3. The Mini-class Sumo robot competes on a Mini ring, which is half the dimensions of the International ring. 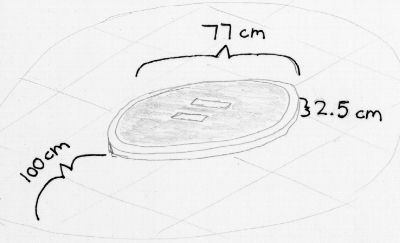 The Mini ring is 77 centimeters (2.5 feet 5/16 inch) in diameter, 2.5 centimeters (1 inch) in height, with an exterior empty space at least 100 centimeters (3.3 feet) all the way around. 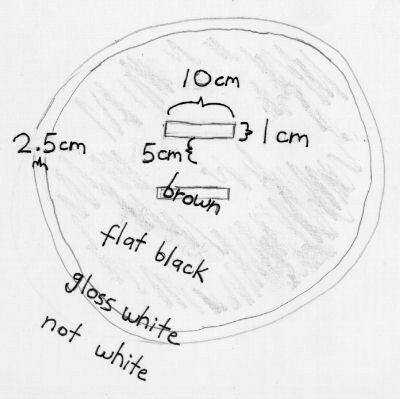 The surface of the Mini ring is flat black. The border is gloss white and 2.5 centimeters (1 inch) in width. The starting lines are brown. Each line is 1 centimeter in width (3/8 inch) by 10 centimeters (3.93 inches) in length, centered 5 centimeters (1.97 inches) from the middle of the ring. Therefore, the starting lines are a total of 10 centimeters (3.93 inches) apart from each other. There is a wide variation of rules and classes for Sumo robotic contests. Dr. Mato Hattori created the original Japanese rules. Bill Harrison adapted the rules for mini-Sumo and propagated the sport in the western hemisphere. Please let David Cook, of RobotRoom.com, know if you encounter any additional rules or links. The Japanese Class, Mini Class, and Micro Class are encouraged as standards. 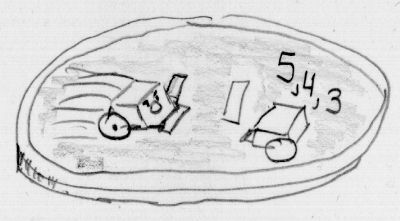 *At present, the local rules I’ve seen so far dictate 5 cm height restriction on Micro Sumo robots. With all due respect, this is unnecessarily restrictive and is contrary to the Japanese and Mini Sumo dimensions. Good grief! 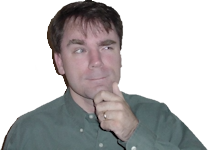 There must be as many term variations for sub-contest units as there are contests themselves. “A Sumo match consists of up to three rounds of up to three minutes each round. The first robot to win two rounds wins the match.” is encouraged as standard. E1. CHIBOTS: ChiBots runs an autonomous Mini Sumo robot class. Robots begin 10 cm x 10 cm by no height limit and may expand to any size after starting. 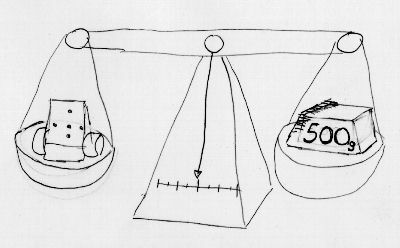 500 grams. No remote controls during the round. 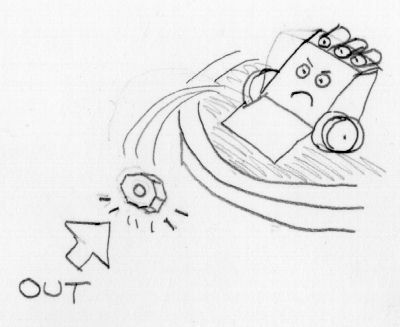 So, it is acceptable to remotely control the robot before the beginning of the round (including a remote start button) and after the end of the round (including a remote stop button). E2. MAGNETS: The ring shall not be made of steel; therefore magnets won’t provide downward force other than their mass. However, magnets are not prohibited. E3. SUCTION: Suction to increase downward force is prohibited. E4. 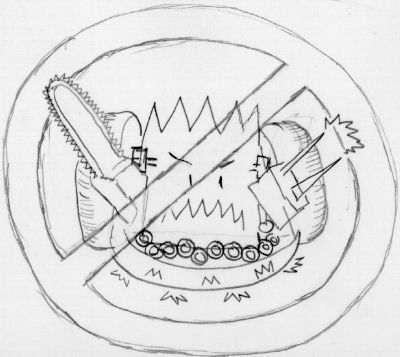 STICKY WHEELS AND CHEMICALS: Sticky wheels are prohibited, as are wheel-cleaning chemicals used during the contest whose use suggest or require ventilation. Robots that leave any type of residue on the ring lose the round. A second occurrence results in disqualification from the contest. E9. 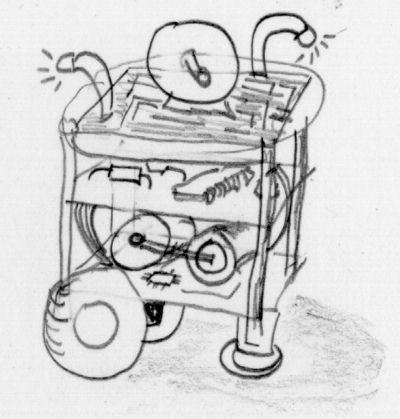 ROBOT ALTERATIONS: Batteries and parts can be swapped during the contest, so long as a reasonably identifiable core robot remains consistent throughout and the mass does not exceed the mass recorded at the initial weigh in. (This means you must load up the robot to its most massive state at weigh in.) This rule encourages robots with interchangeable parts to tackle different types of opponents. Upon entering the external area to begin a round, if an opponent or referee challenges the robot as now being non-qualifying or being more massive than at the initial weigh in, it will be re-measured. If it fails, the robot shall lose the entire match. Two failures and the robot is disqualified from the contest. E10. 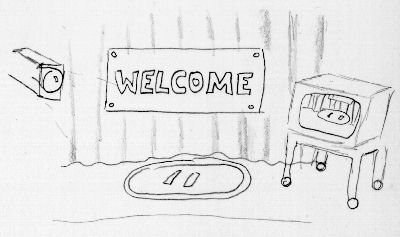 CLASS LIMITS: For qualification, the judges shall strictly enforce the dimension and mass limits of a robot as measured by local instruments. Width and depth dimensions are qualified with robot parts pressed up against the walls of a rectangular tube, not in free space with a ruler. Up to 25% additional droop or tilt (but not expansion) shall be permitted in the starting position of the robot in the actual ring, so long as the robot starts in a free-standing position generally the same as the one measured in the tube. E11. CONTESTANT'S ROBOT: Kit robots or robots made in whole or part by other people are permitted. Science is built on the shoulders of giants. This rule also permits robots to be entered by people who can’t attend or operate their robot during the event. E12. MULTIPLE ENTRIES: Multiple entrees, even identical entrees, by a single contestant are permitted. The contestant must have a willing designate to operate one robot if two robots from the same contestant play a match. A contestant may strategically forfeit rounds or matches to manipulate their entrees payoff placement, during seeding or in the contest. E13. QUALIFICATION FOR PARTICIPATION: Any robot that fails to qualify for any reason shall not be permitted to participate in the actual contest at all, as it may affect the outcome of robots with which it competes. E14. SEEDING: Each robot plays one match against a test block of roughly the limits of the associated Sumo class. Unlike normal matches, failure to beat the test block in three minutes results in a round loss for the contestant. The results determine seeding for the contest in the following order: fewest losses, most wins, lowest initial weigh-in mass. Top seed faces bottom seed. E15. PLAYOFFS: The method of elimination shall be announced the day of the event based on the number of qualifying entries. E16. START TIME: Rounds and matches are played in order and on time. Upon being called to begin a round, the contestant has one minute to position their robot and to be ready to start. Robots that aren’t ready (fail to start or fall from their starting positions) are given a warning. 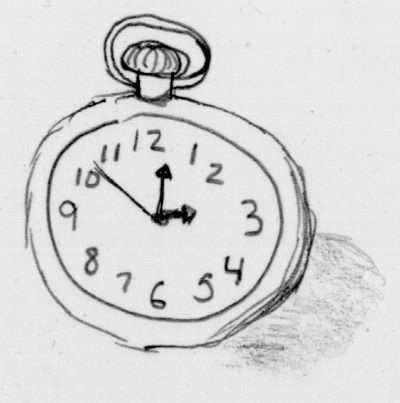 Another minute is given. A second warning forfeits the round. This rule encourages robots that are ready to run and that have batteries, alterations, or repairs performed quickly. 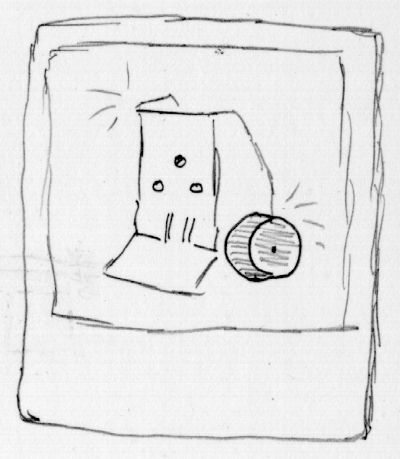 E17: PRE-START STRATEGY: Builders may design multiple start buttons or strategy switches into their robot. So long as the first robot’s position is not altered (which would result in a warning), the contestants may alter settings or press buttons until the point at which the start button is pressed. This rule encourages robots with flexible opening moves or strategies. E18. ROUND RETRIES: In the event that the referee can’t decide the winner of a round (for example if both robots seemed to fall out at the same time), the referee has the sole discretion to re-run the round or declare the winner based on lowest mass on the initial weigh-in. E19. CHAMPIONSHIP: The championship match requires a robot to win by two rounds. As many rounds as necessary are played. E20. RULE CLARIFICATIONS OR MODIFICATIONS: In the event that a rule is unclear or a condition is not covered, the referee decides. If any participant in the contest objects, the event organizers’ officers shall vote publicly.